For starters, they're going to play characters from different schools! Liza Soberano and Enrique Gil’s newest film (which fans claim is called Spoliarium) is being directed by Antoinette Jadaone and it's reportedly going to hit theaters in February 2019, just in time for Valentine's season! During the film's press conference, Liza shared that her character Christine will be a UP student, a go-getter and dreamer, while Enrique's character will be the total opposite: someone who doesn't even try at life anymore. They shot with the UP track and field team. Some lucky students even got to be part of the film! 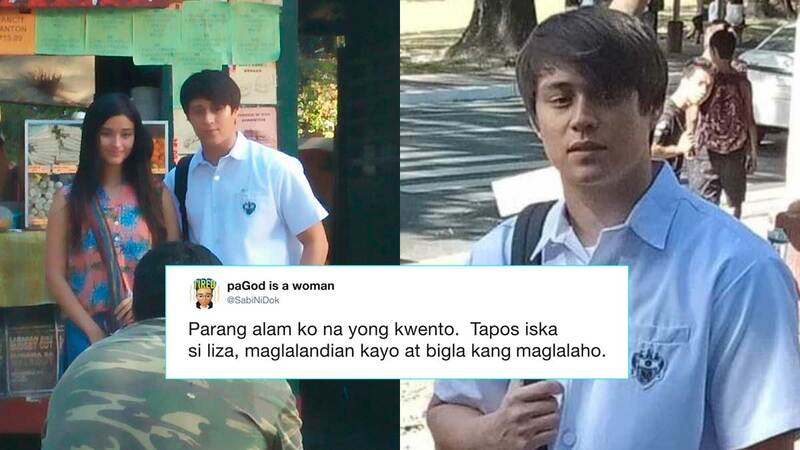 Behind-the-scenes photos of Enrique in a UST uniform has also surfaced on Twitter, and people think Enrique will be ghosting Liza in the film. So...is that what’s going to happen? Will Enrique be the guy from UST who ghosts Liza from UP? We can't wait to find out!